Former University of Louisville and Murray State football player Ezekiel “Zeke” Pike, who was dismissed from three different college football programs due to problems away from the field, is in trouble with the law again. 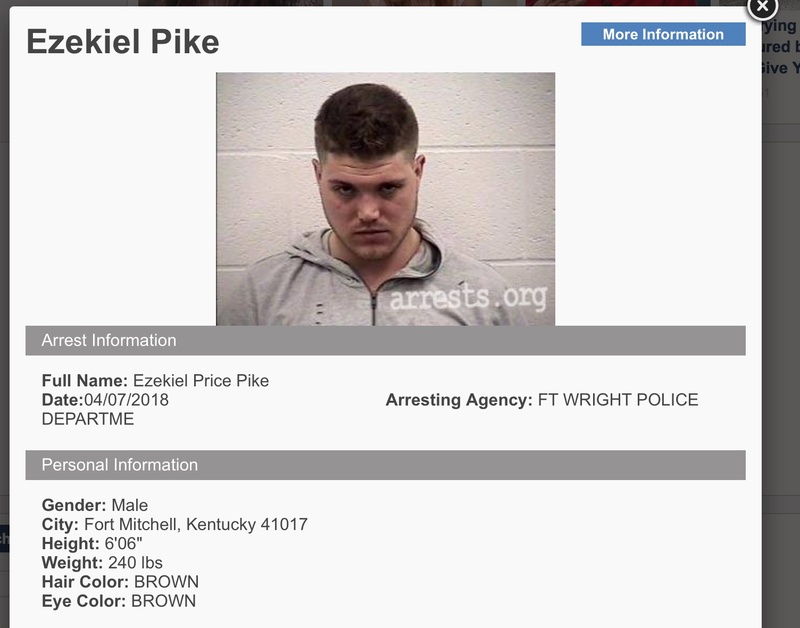 According to a Fort Wright (KY) police report, Pike was arrested on April 7 and is facing several charges that include possession of marijuana and operating a vehicle under the influence of alcohol/drugs. He was also cited for careless driving, failure to produce an insurance card, possession of an alcoholic beverage in an open container and improper equipment. It marked the fifth time that Pike, 25, has been arrested since 2012. An all-state quarterback at Dixie Heights High School in Edgewood, Kentucky, who was considered one of the nation’s top prospects, Pike originally signed with Auburn. But Pike was dismissed from the Auburn program in 2012 by then-head coach Gene Chizik after being arrested for public intoxication. 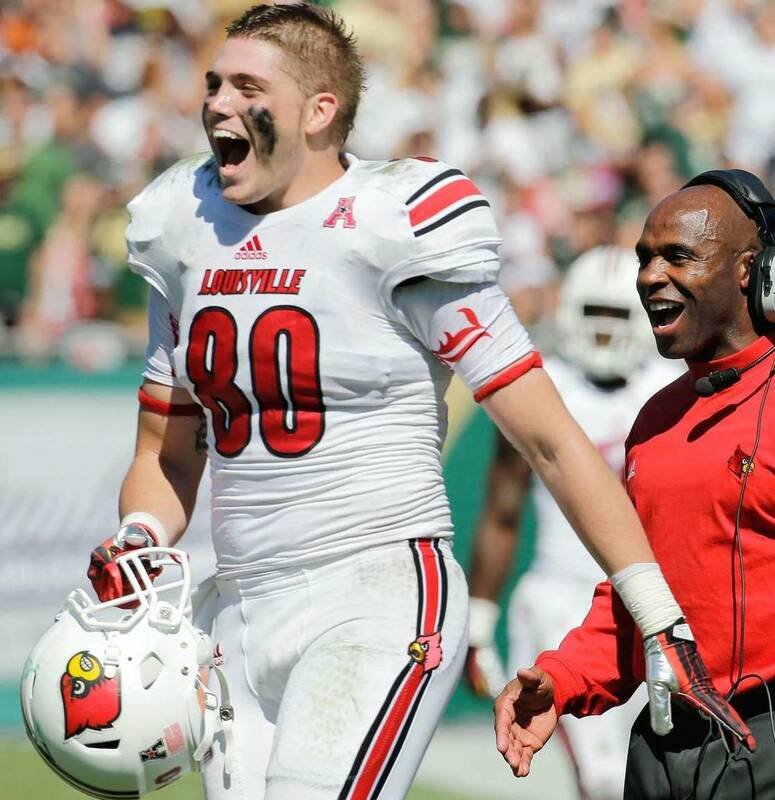 Pike next enrolled at Louisville and converted from quarterback to tight end. The 6-foot-6, 250-pound Pike caught one pass in limited playing time during the 2013 campaign, but he was arrested in the spring of 2014 on another alcohol-related charge. Pike was suspended, and he was not retained by incoming Louisville head coach Bobby Petrino. After leaving Louisville, Pike checked into Sober College — a drug addiction treatment center in California — and spent five months at the facility. He returned to Kentucky and enrolled at Murray State, where he was expected to become the starting quarterback for the FCS program. But prior to the 2015 season, Pike was arrested for another DUI, resulting in four days in jail. Murray State subsequently dismissed him from the program. Pike was a star quarterback at Dixie Heights High School and many believed he had a bright future. During his senior season at Dixie Heights, Pike threw for 1,978 yards and 13 touchdowns. He also rushed for 730 yards and 16 touchdowns, drawing comparisons to former Auburn quarterback Cam Newton. When is he really going to get his life back together?